The NEW Tune Talk VALUE Prepaid with FREE 36GB Data up to 12 months*. Hurry Limited Time Only! All you have to do is to get a Tune Talk VALUE Prepaid Pack and make a minimum top up of RM30 within 7 days upon activation. Not a Tune Talker yet? Register here and we get our SIM delivered to you anywhere in Malaysia for free! Note: Local voice calls are charged at blocks of 60 seconds. It comes with Unlimited Passes as low as RM1. Dance, Talk while Social Media all day long. Yes, I want to purchase! This TTVP pack terms and conditions (“Terms and Conditions”) shall be supplementary to the Tune Talk Service Subscription (‘Service Subscription Terms and Conditions”) and shall be read together with Tune Talk VALUE Prepaid Data Plan (“Tune Talk VALUE Prepaid Data Plan Terms and Conditions”). 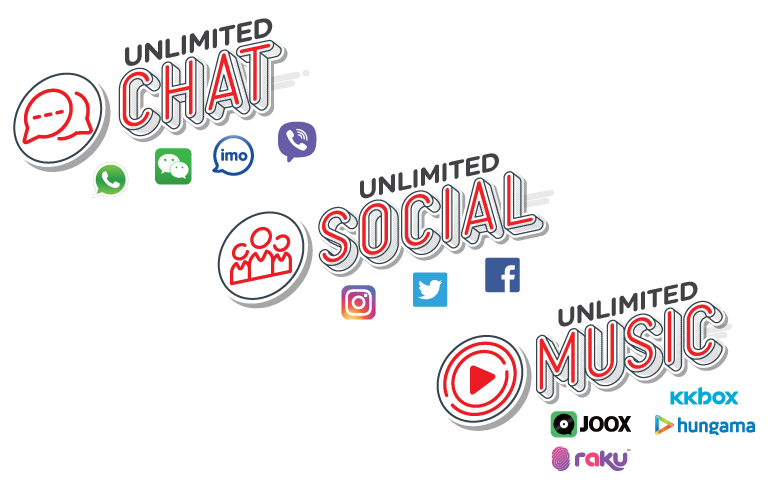 Subscribers that participate in this TTVP pack are bound by this TTVP Pack Terms and Conditions together with the Service Subscription Terms and Conditions, Tune Talk VALUE Prepaid Data Plan Terms and Conditions and/or any other terms and conditions related to the provision of Tune Talk’s Service. Tune Talk reserves the sole and absolute right to amend, modify, vary or change any TTVP Pack Terms and Conditions at any time without any prior notice to Subscribers. Any decisions made by Tune Talk shall be final and no further correspondence will be entertained. New activations from 14th January 2019 onwards will be on TTVP pack tariff plan. The TTVP pack is valid for eligible new Tune Talk subscribers only from 14th January 2019 (“Effective Date”) and existing Tune Talk subscribers who have switched to the TTVP pack. Tone Excel and Tone Plus subscribers are excluded. Eligibility to join the TTVP pack is subjected to Tune Talk’s sole discretion. Switching from current existing Tune Talk Buddies to TTVP pack is FREE from 14th January – 28th Feb 2019. A switching fee of RM5 (“Switching Fee”) shall be charged to existing subscribers who wants to switch to the TTVP pack commencing from 00:01 1st March 2019 onwards. Switching to the TTVP pack shall be available via SMS or Tune Talk App. To switch to TTVP pack via SMS, subscribers must type ‘TTVALUE’ and send to 2222. *There are no charges for the SMS sent to 2222. Eligible Subscribers will be notified via SMS whereupon you will be asked to follow specific steps provided. 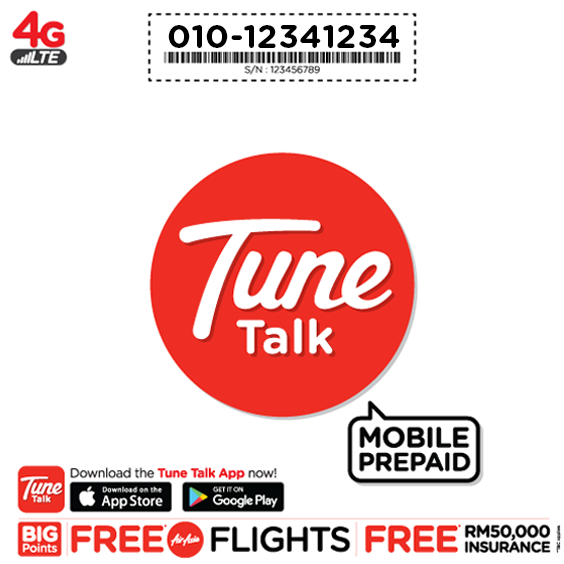 From the Effective date onwards, new Tune Talk subscribers need to first download the latest version of Tune Talk App, tap at the link marked “Switch to Tune Talk VALUE Prepaid” and follow the instructions. Existing Tune Talk subscribers who are not subscribing to any data plan, needs to download the latest version of Tune Talk App, tap at the link marked “Switch to Tune Talk VALUE Prepaid” and follow the instructions. Existing Tune Talk subscribers who are currently subscribing to existing data plan, will need to first switch to the TTVP pack via SMS (refer point 8). Upon successful switch to the TTVP pack, all Subscriber’s existing data quota will be forfeited along with any existing Freebies (Free Data from Campaigns, etc. ), Data Plans (Data Plan or +VIBE), booster plans and so on. Thus, it is highly advisable for you to utilize all available data quota before switching to the TTVP pack. For existing subscribers, switching to TTVP pack is not compulsory. Subscribers may still remain with their current respective plans. Once subscriber has switched to TTVP, Subscriber shall not be allowed to revert back to your old plan. Upon switching to the TTVP pack Subscriber will be given Free Basic Internet (“FBI”) of 10GB at the speed of 64 kbps. FBI will be refreshed after 30 days. To enjoy high speed data Subscriber needs to subscribe to any of the data plans offered in the TTVP pack. FBI is subject to Tune Talk’s Free Internet fair usage policy or promotions solely determined by Tune Talk from time to time. FBI is a service that enables Subscribers who have exhausted their existing data packages (bonus, mobile internet, paid or free) or having no data packages, to enjoy always-on connectivity at no cost. FBI will be available for all new Subscribers after 14th January 2019 as well as selected existing Subscribers by phases starting from the same mentioned date. Subscribers who is on FBI will not be charged pay-per-use rates. Once the 10GB FBI quota is exhausted at any time before the monthly expiry date, Subscriber will no longer be able to enjoy data and Subscriber will need to subscribe to another mobile Internet data plan to enjoy data. Subscriber’s credit validity will not change after switching (e.g. if it currently expires on February 2019, it will remain as such even after switching). Subscriber will be notified via an SMS notification on Subscriber’s FBI quota usage when it reaches 90% and 100%. Subscriber can check the status and quota balance by dialing *134# via USSD or send ‘FBI STATUS’ via SMS to 2222. To enjoy the Free Basic Internet, Tune Talk Subscriber must remain in ACTIVE status. For any misuses or abuse of the FBI services by way of unauthorized selling and/or commercial gains, or for any business services which the Subscriber intends to or may provide to any third party, Tune Talk reserves the right to summarily terminate the line or suspend the usage and/or charge the Subscriber for the excess internet usage, impose a fee, extra charges and/or penalty to the Subscriber as deemed appropriate by Tune Talk in its sole discretion without prior notice to the Subscriber. The FBI quota made available herein is non-transferable, whether by operation of law or otherwise, either to any other person, entity or any other Subscriber's prepaid account. No carrying forward of the unutilized quota of FBI is allowed. The FBI can only be used domestically i.e. 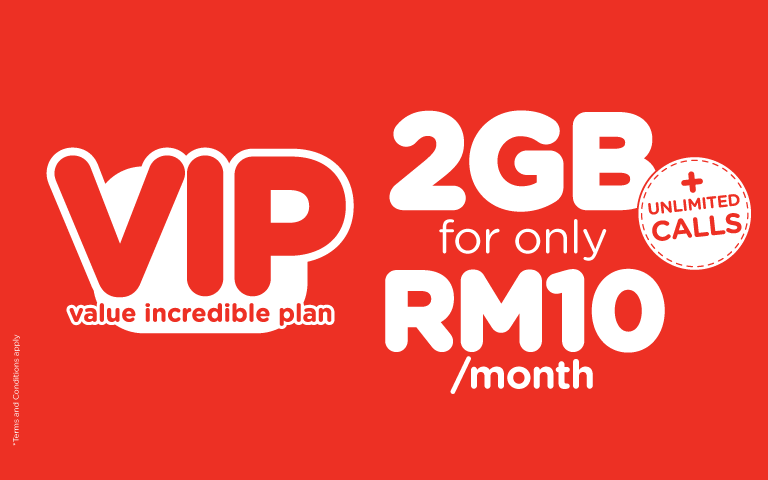 within Malaysia only, and is subject to roaming charges when used overseas. Tune Talk reserves the right to cease, alter or suspend the provision of the FBI usage at any time without prior notice based on its sole and absolute discretion. In view thereof and for the avoidance of doubt, such alteration, cancellation, termination or suspension by Tune Talk does not entitle the Subscribers to any claims and/or compensation against Tune Talk (whether in cash or in kind) for any and all losses or damages suffered or incurred by the Subscribers as a direct or indirect result of the act of alteration, cancellation, termination or suspension thereof. By using this FBI, the Subscribers acknowledge that they understand and agree to the terms and conditions herein and agree to abide by it at all times. All queries pertaining to the above TTVP pack should be directed to Tune Talk’s Customer Care by calling 13100 or 03-2772 0000 from 8am to 10pm daily. Where the terms & conditions are translated into a language other than the English Language, in the event of any inconsistencies, conflicts or discrepancies between the terms and conditions set out in the English Language version and that of the other language(s), the English Language version shall prevail. Words denoting the singular include the plural and vice versa, and words denoting any gender include all genders, and words applicable to natural persons include references to a firm, body corporate or unincorporated, association or an authority, and vice versa.